Now we have another new gastro restaurant in Les Gets! Vina Annapurna which opened at the end of the winter ski season 2018. It’s open for summer too and I got my chance to try it! The restaurant scene in Les Gets continues to evolve in a good way and the Vina Annapurna is a great addition. Is there no end to the fabulous places to eat in Annecy – it would seem not! My latest find is L’Esquisse Restaurant owned by Stéphane and Magali Dattrino. 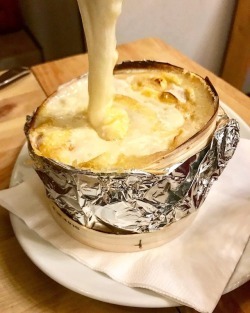 Situated on the Rue Royale in the centre of Annecy, this little gem and it is a small restaurant takes only 18 covers for each sitting in the calm and tastefully decorated restaurant. 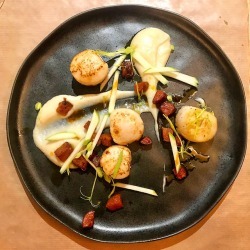 Les Cocottes by Christian Constant is conveniently situated at The Casino on the border of Switzerland and France just outside Saint Julien-en-Genevois. It is open 7 days a week and has easy parking. So, they are the practical reasons … The real reason is that this restaurant serves great food at good prices in a really good modern, light and spacious space with a brasserie style. From May to September the outdoor terrace which offers shade and faces the Jura is a very convivial place to dine. Et voila so many reasons to give it a try! The first time I visited L’Ancolie Restaurant was in 2013 as you can see from my post below. Well now in November 2017 L’Ancolie has new owners. Olivier and Katia Gérard who have been at Le Petit Monde in Viry this year are the new proprietors. I have enjoyed several good meals at Le Petit monde and I look forward to enjoying many more at L’Ancolie. They opened on Tuesday and 2 days later I went for lunch! It was great to have the chance to chat to Olivier and Katia today, their enthusiasm for their new venture is evident. They are looking forward to adding their own signature to L’Ancolie in the New Year. They will close for the last 2 weeks of January for a refurbishment. Another great lunch another stunning view – this is what the Haute Savoie is made of! One can never tire of the ever changing views over Lake Annecy and regarding it through the windows of Le Viù restaurant at The Palace de Menthon whilst enjoying some fabulous cuisine is pretty close as one can come to a heavenly day out! Wow! we are so lucky to be living in this beautiful region of France. I am regularly reminded of this and today was no exception as I was afforded the most amazing views of the Argentiere glacier on a great hike in Les Grands Montets area of Chamonix Mont Blanc in Haute Savoie.